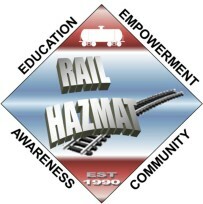 The Rail Workers Hazardous Materials Training Program has opened registration for a hazmat/chemical emergency response training program in April for rail workers in Arizona, western New Mexico, southeastern California and the Navajo Nation. This training addresses OSHA- and DOT-required training in addition to procedures, different levels of response and worker protection in a hazardous materials emergency or release, weapons of mass destruction awareness and the incident command system. The training also provides completion of the OSHA 10-Hour General Industry Outreach requirements and is delivered using interactive classroom instruction, small group activities, hands-on drills and a simulated hazmat response in full safety gear. The training will be held April 10 to 14 in Winslow, Ariz., and attendees must use their own personal vehicles to get to the training. Air transport is not provided for this session. Those who have taken the 40-hour chemical emergency response course in the last three years should not register for this round of training. The Rail Workers Hazardous Materials Training Program is funded to provide this training by a federal grant from the National Institute of Environmental Health Sciences (NIEHS). A flier about the sessions is available to post at your worksite. Follow this link to register online. For more information, call 202-624-6963 from 9 a.m. to 5 p.m. Eastern, Monday through Friday.